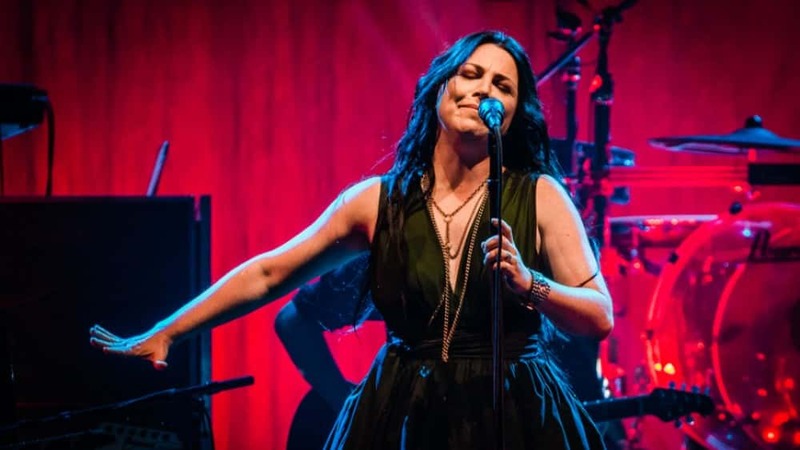 Evanescence frontwoman Amy Lee says the band is in the beginning stages of preparation for the follow-up to their third studio album, 2011’s Evanescence. It will be the first record of all-original material from the band in about eight years. The last Evanescence album, 2017’s Synthesis, consisted of only a few new songs and re-workings of some of the band’s greatest hits. Evanescence’s band members — Lee, bassist Tim McCord, drummer Will Hunt, lead guitarist/backing vocalist Troy McLawhorn and guitarist/background vocalist Jen Majura — are currently on the “Synthesis Live” tour. Dates run through Sept. 8 in Ridgefield, Wash, with Lindsey Stirling co-headlining the shows.Stirling is a violinist, dancer and YouTube star who performs on the Synthesis track “Hi-Lo.